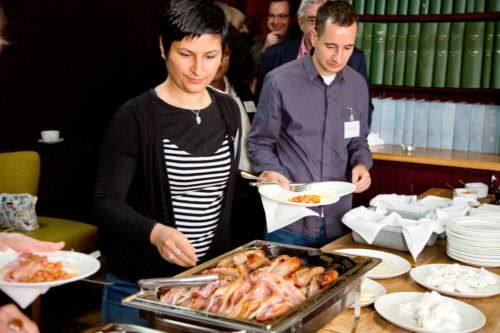 Frome Chamber of Commerce and Town Council are backing a new series of business breakfasts aimed at bringing together the town’s vibrant business community. 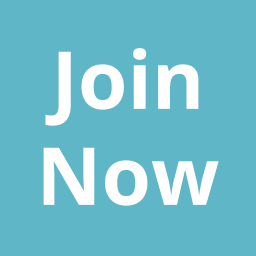 As a networking event it provides an opportunity for local businesses to connect with each other and representatives from the local community. 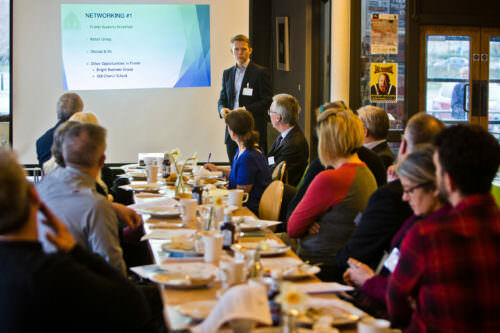 Across the year we schedule an interesting array of topics to encourage relevant discussion and the presentations always include a lively interactive session to encourage you to share your ideas with other businesses and feed those back. And of course there always a delicious breakfast.The final step is getting these ideas into action, and we get a report from the Frome Town Council in respect of what can or will be actioned. 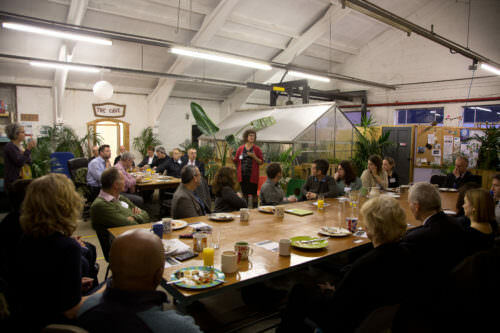 See our events calendar to find out where the next breakfast will be hosted. The cost is £10 to attend. See the full programme for 2019 here.